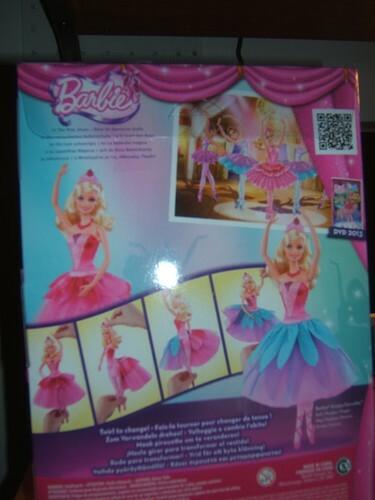 Back of the Kristyn doll box. . HD Wallpaper and background images in the Barbie-Filme club tagged: barbie pink shoes kristyn doll. This Barbie-Filme photo might contain anime, comic, manga, cartoon, comic buch, karikatur, and comics. Good pic! You have the doll of Kristyn? Yup! ...want more pictures? And thank you so much! OMK!OMK! That official still is so awesome! Do you know who are those girls with Kristyn ? The redhead one isn't Giselle ,right ? She has blue shoes. Kristyn have 4 friends in the movie. It is shown in the box, 2 of her friends we can see perfectly, one of them is seen a bit half of her body, and the 4th one we can only see a leg of her. The names of her friends are Odette,Giselle, Hailey and Tara(I think). @Madmozell Odette and Giselle are not Kristyn's friends. They are Kristyn herself. But these two girl resemble them a lot and that worries me.